After a long, cold winter, especially the one we just had in New England, spring is a welcome guest. The bugs that come with it are not. Two, in particular, are waking up right now. They’re small, they live in large colonies, and their presence is disturbing to homeowners. These are termites and carpenter ants, and they’re about to swarm. Got Swarmers? Call a knowledgeable licensed professional at 1-800-323-PEST or contact us to request a FREE Quote, ask us a question or Schedule a Service! Swarmers are what the professionals call “the winged” termites and carpenter ants. They’re mostly females, and their sole purpose is to reproduce with males and establish new colonies. To you, carpenter ants and termites swarmers may look the same – they’re black with wings. Because of these similarities, many people can’t tell them apart. A carpenter ant treatment is very different from a termite treatment, so it’s important to know which one is nesting in or around your home. The good news is that you don’t have to be an expert to tell termites from carpenter ants. If you take a close look at the antennae of a carpenter ant, you will see that they are bent. Termite antennae are straight. They are also shorter than carpenter ant antennae. Distinct Body Regions or Uniform Width? All insects have three body regions – the head, the thorax, and the abdomen. These regions are not always apparent in all insects, though. Termites’ bodies look somewhat uniform in width (the 3 regions are not apparent). Carpenter ants’ bodies do have 3 distinct regions that you will be able to see. Wings: Same or Different Length? Both carpenter ants and termites have two pairs of wings, meaning they have four all together. There is a front pair and a back pair. 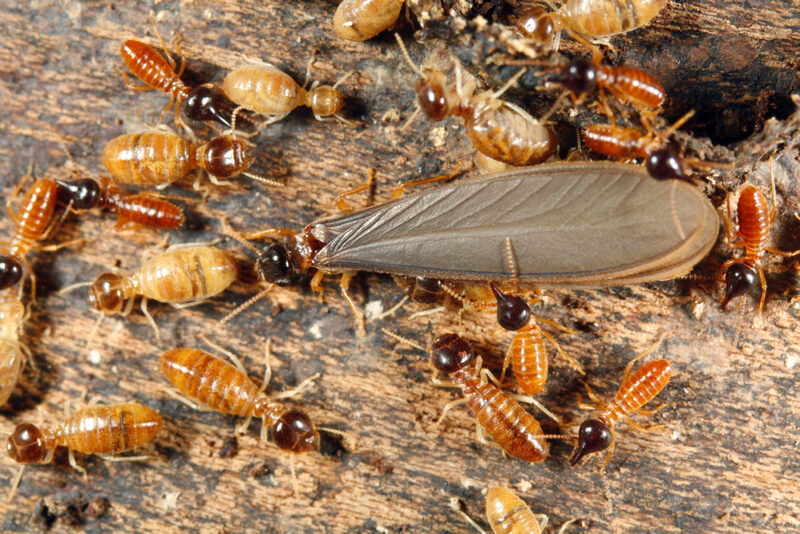 On termites, both the front and back pair of wings are the same length. 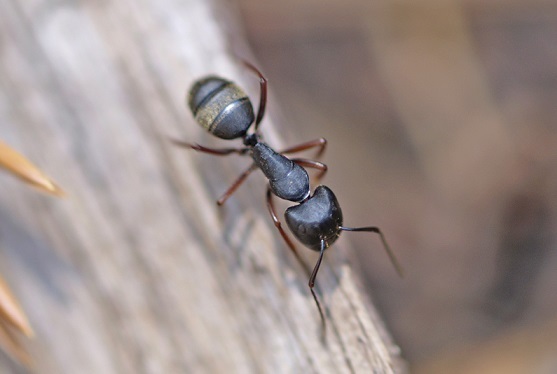 On carpenter ants, the back wings are significantly shorter than the front wings. 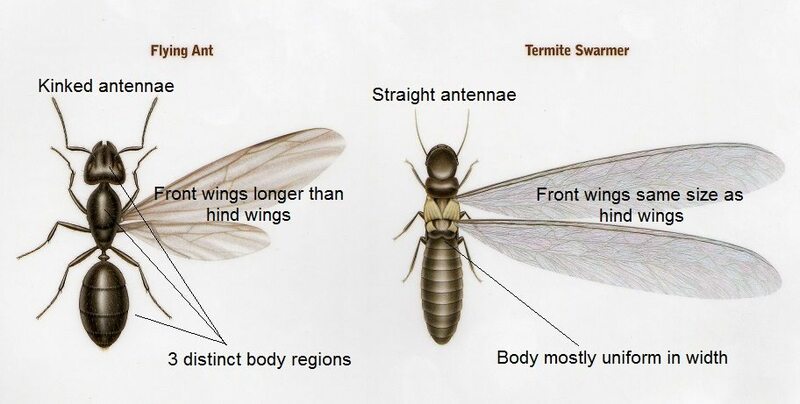 The wings for termites and carpenter ants tend to go straight back and can be difficult to see whether or not they’re the same length. What you will be able to see are the colors of the wings. Carpenter ant wings have a brown tint to them. Termite wings are white and translucent. If you see swarmers of either type in your home, then you should be concerned. This is a sure sign that a nest is very close by. If you see swarmers, call a professional immediately, and do not attempt to treat on your own. Home solutions seldom work on carpenter ants, and never for termites. If you’re still unsure whether the swarmers you see are carpenter ants or termites, email a picture to info@modernpest.com. As long as the picture is clear and detailed, we will be able to identify the pest and determine the best route of action. Every season brings a new threat from pests. Be prepared. Modern Pest Services offers a HomeCare Green Program for year-round pest protection, as well as Wildlife, Termite, Mosquito, Tick, and Bed Bug Control Services. With seasonal treatments designed to target New England’s unique pest concerns, our highly trained team of professionals have the skills, equipment, and knowledge it takes to tackle any pest issue – guaranteed! Contact the trusted pros at Modern Pest for a Free Quote today! or Call 1-888-997-3312.